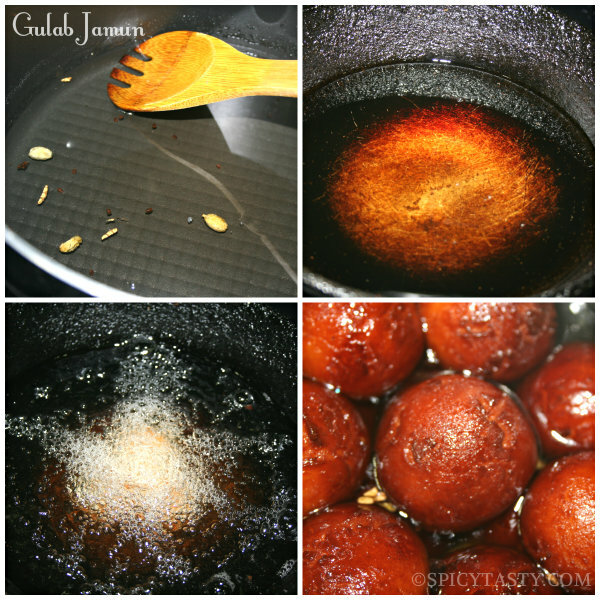 Home » Desserts » How to make Gulab Jamun with Khoya? 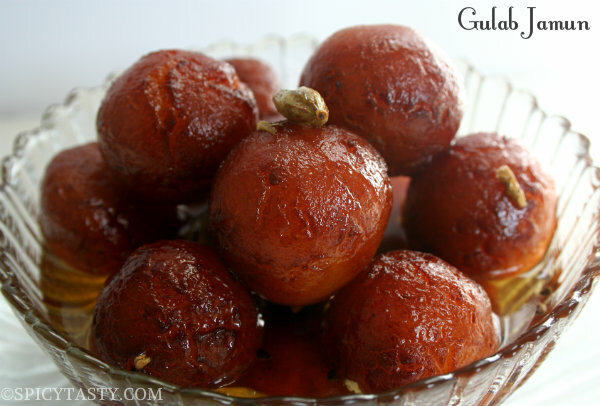 How to make Gulab Jamun with Khoya? 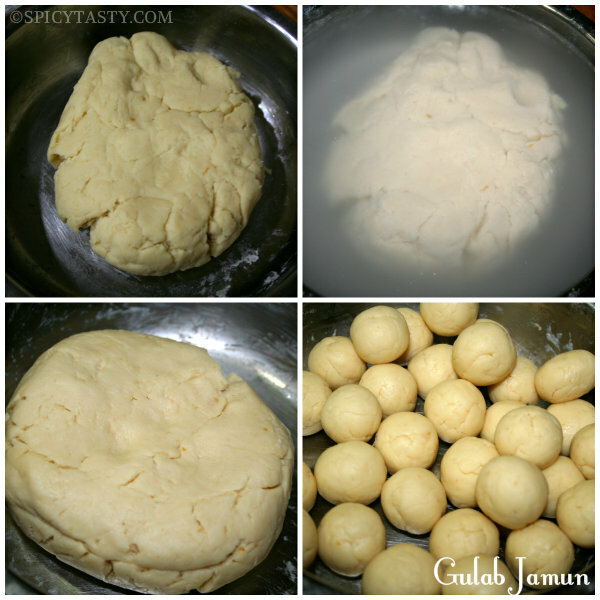 Now a days making Gulab Jamuns with ready mix has become common. But we can find a huge difference in taste if we make them from the scratch. 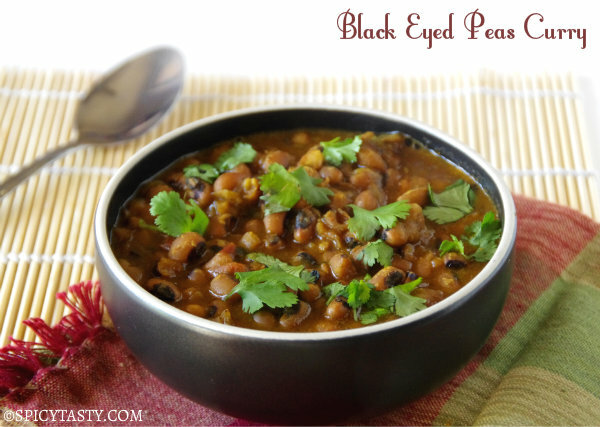 My grand mother and my aunt still make these for me if I ask for Jamuns. 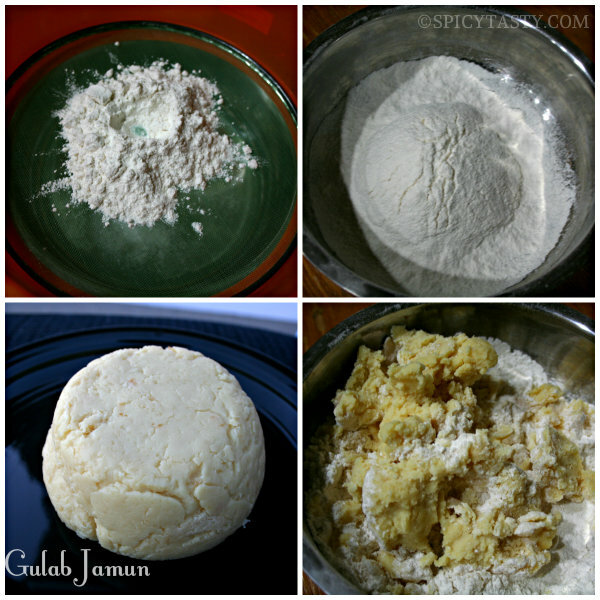 I got this recipe from my aunt and here goes the step by step procedure for making these delicious Khoya Jamuns. Sieve the maida and baking soda and mix with khoya slowly. 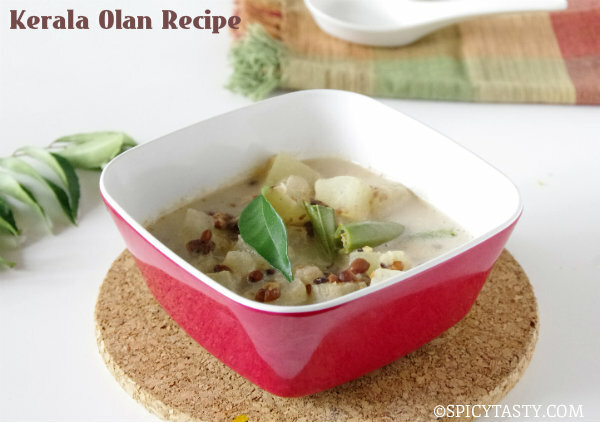 Add few tbsp of milk for mixing. Mix completely to get a smooth dough. Fill the vessel with cold water till the dough is completely immersed. In the meantime start making the sugar syrup. Mix equal quantity of sugar and water and add the cardamom and boil it. Turn off the heat when the sugar syrup becomes sticky (before the kambi padam). Now strain the excess water from the dough and mix the dough again. The dough will become so soft. Now heat oil in a kadai (mix the 3 tbsp of ghee to the oil) in medium flame. Fry the Jamun balls in medium flame till we get brown color. If we use high flame, the outer layer will become brown soon and inside it won’t be done. So we should fry like how we fry for Ulundhu Vadai. Put the fried balls immediately to the sugar syrup. Cool them and store them in an airtight container. Immersing the dough in water makes a lot of difference in the dough. The becomes so soft. As soon as we fry the jamuns, we should put them in sugar syrup. Else they wont absorb the syrup properly. Nice presentation. I dipped the dough in water n then fried, it didn’t gave a good texture look. I also tried frying the jamun s without dipping in water, it gave a good texture. 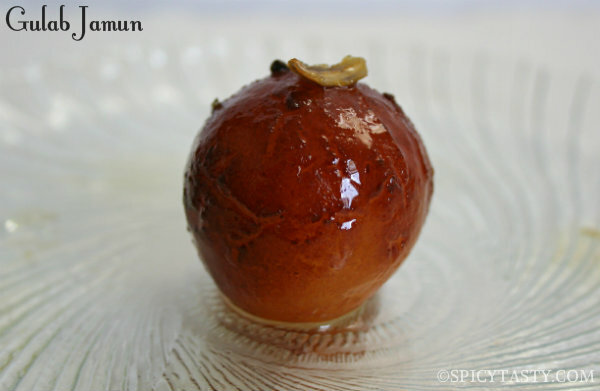 this recipe is owesome.i make spongy-tasty gulabjamun. Commenti made jamuns but became harder frm outside and the texture frm inside as well wasnt soft…what could be the reason? pls help me….the khoya was shop bought..